These New York airport map thumbnails show FAA-designated commercial service airports, reliever airports, and general aviation airports in the State of New York. Click on each of these thumbnail maps to display detailed regional airport maps. 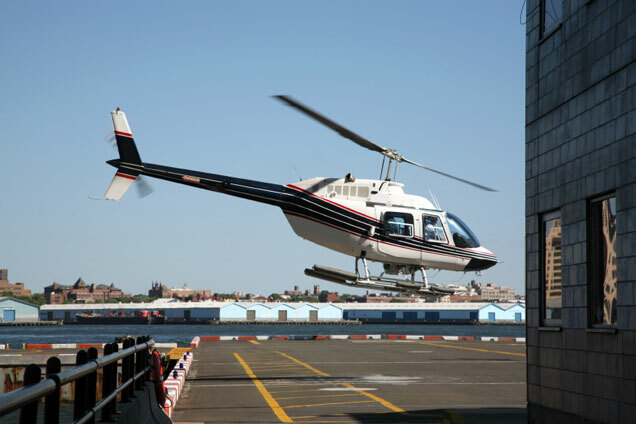 Large hub airports in New York State include the John F. Kennedy International Airport in New York City and the La Guardia Airport in New York City. New York State's medium hub airport is the Buffalo Niagara International Airport. Small hub airports in New York include the Albany International Airport, the Macarthur Airport in Islip, the Greater Rochester International Airport, the Syracuse Hancock International Airport, and the Westchester County Airport in White Plains. 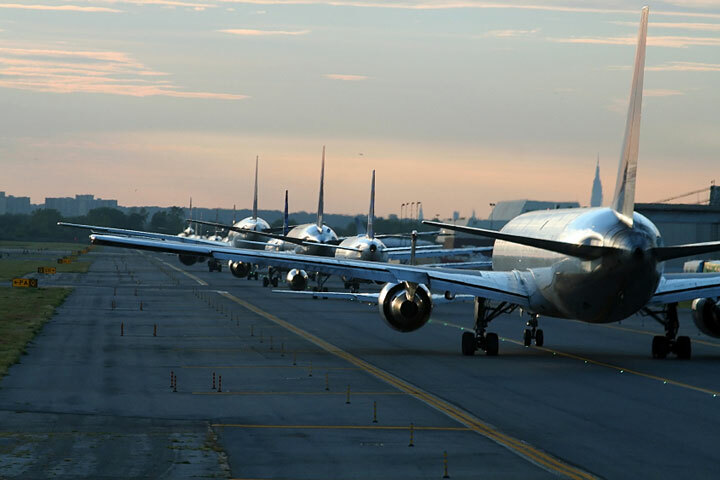 The photo at right shows jets on a runway at JFK International Airport. New York airport map source: FAA 2001-2005 NPIAS.